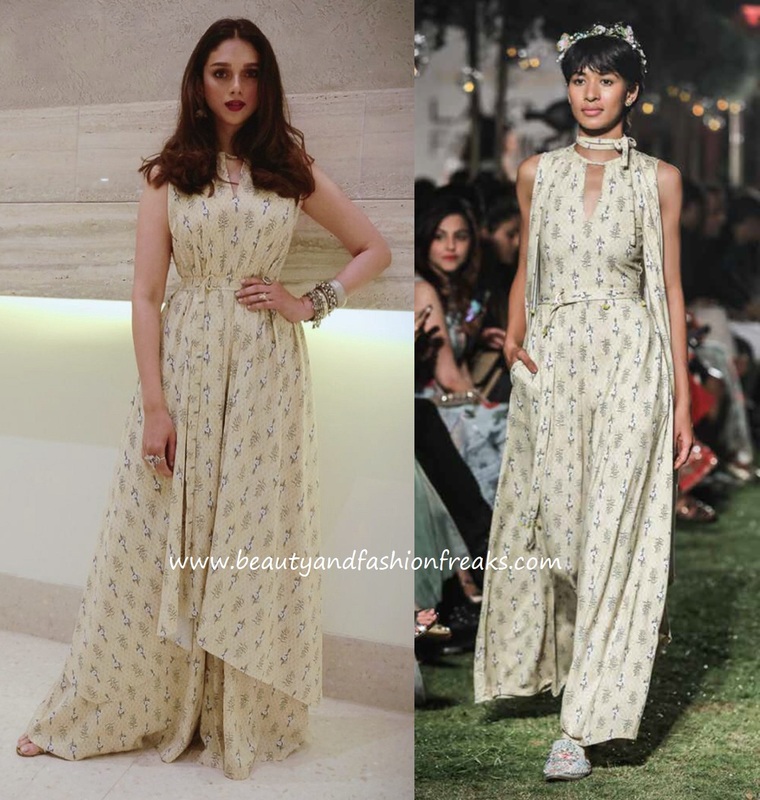 Manushi sported an Anita Dongre outfit while at an event held recently. 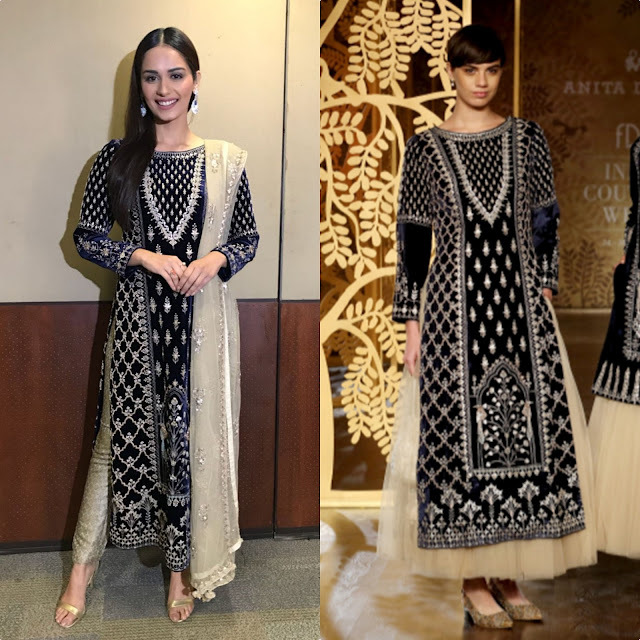 Wearing her middle parted hair swept to the side, Ms. Chhillar completed her look with a pair of diamond and emerald earrings and golden sandals. Choice of earrings could have been better here, barring which she looked nice!